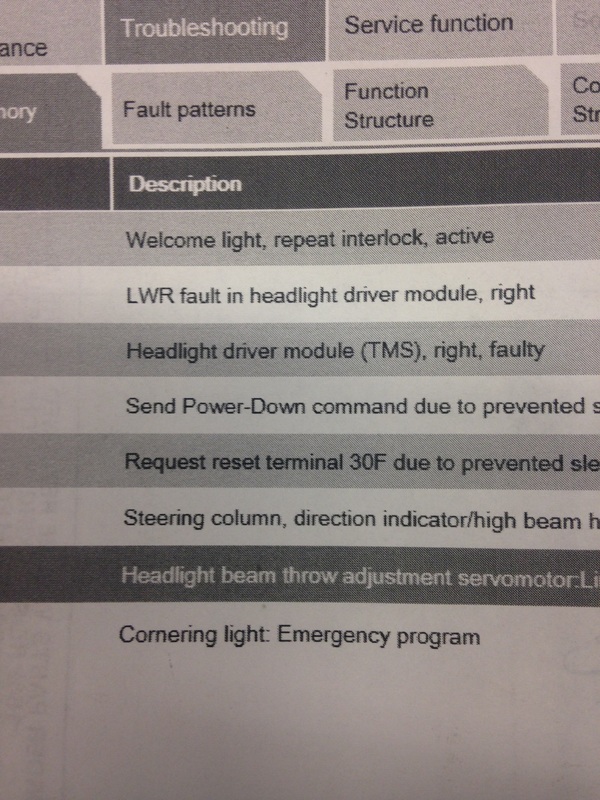 This is a picture of the fault codes I found in this 2014 740i,,,,customer said the headlight vertical aiming warning came on,,,there are 3 main faults that are about the front headlights,,,there are 2 faults for right side headlight driver,,,,and 1 fault for right headlight adjustment,,,,so I had to go through a test plan,,,,the test plan performed a headlight test,,,,I noticed the right headlight would not move up and down,,,,but it would move side to side,,,,at the end of the test it told me to replace the right side servo motor. This is the servo motor,,,,you have to remove the whole front headlight to replace this,,,,so you have to remove the front bumper first,,,,once you have the headlight out,,,,there is an access hole in the back of the headlight and this servo motor snap and twists into position,,,,,,sorry couldn’t get a good picture of inside the headlight,,,you see that knob at the end,,,that snaps into a bracket,,,,that servo motor rotates that knob in a circle motion,,,,which can move the headlight in the up and down or side to side positions,,,,,when you perform the test,,,the headlight will move in a circle,,,,which is pretty cool,,,,this little servo motor does a lot of movement at a fast rate. 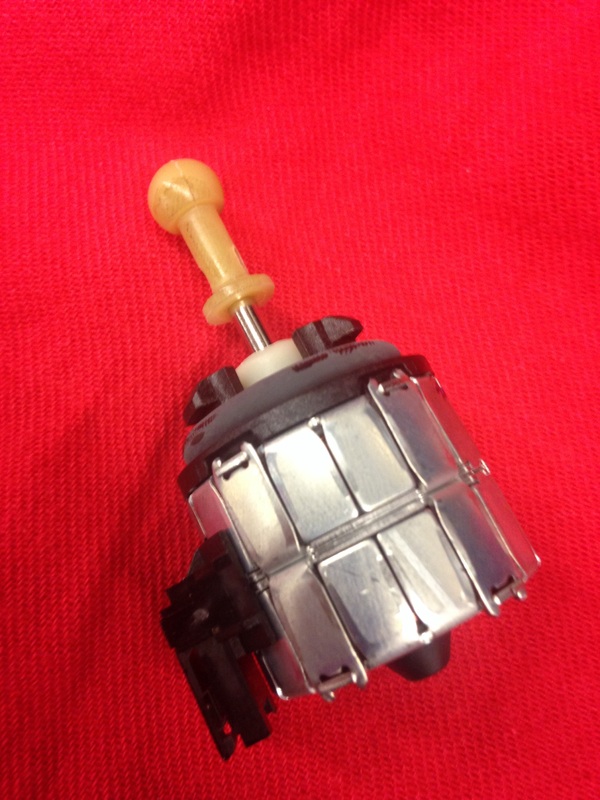 This entry was posted in Uncategorized and tagged 740i, Headlight aiming, servo motor. Bookmark the permalink.